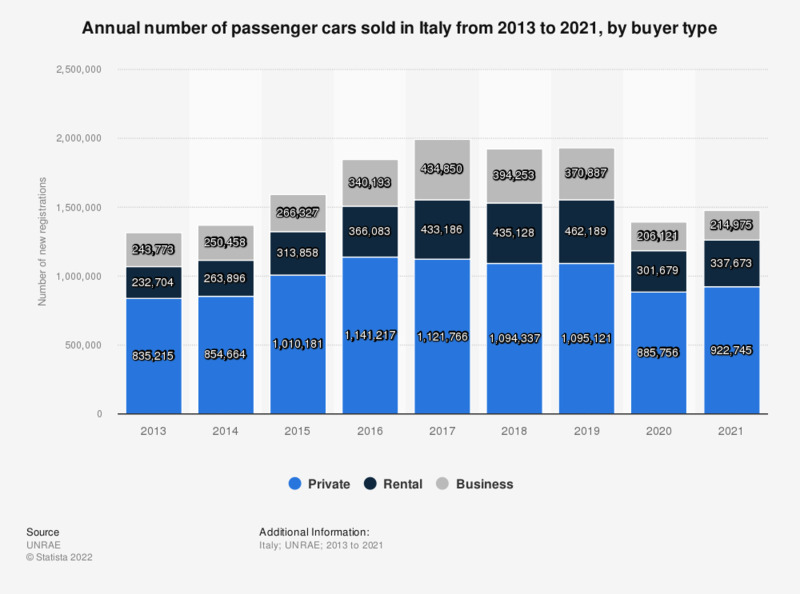 This statistic displays the number of new passenger car registrations in Italy from 2013 to 2017, by buyer type. According to data, all the three categories show a positive trend. Private buyers are leading the positive trend, followed by rental firms and businesses. The number of cars purchase by private buyers increased, passing from 1.01 million units to 1.14 million units sold. Sales increased as well regarding business buyers, passing from 266,327 units in 2015 to 340,193 units in 2016.